Over the weekend, the girls and I took advantage of the Denver deep freeze to brave the cold and do a little science. We pulled out the summer bubble kit and experimented with what would happen to a bubble when it is 3 degrees outside. We bundled up and headed outside. The plan was to use plain dish soap to blow the bubbles, but the dish soap we keep with our bubble blowers had frozen too. We quickly discovered that frozen dish soap is an experiment in its self. 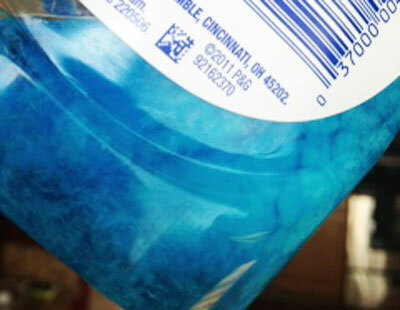 The water in the dish soap had frozen into crystals in and around the soap solution. As the dish soap defrosted, it became a snow globe. The frozen crystals slowly blobbed and moved around in the soap. After our dish soap and bubble solution defrosted, we re-bundled up and went outside. We tried blowing bubbles in the coldest part of the yard, where our bubbles were protected from wind. The bubbles blew all over the place and took off on the wind. We discovered the bubbles that didn’t make it far and landed on the deck, began to freeze. We blew more bubbles and caught them on the blowers. It took about a minute or so for the swirling solution to slow down and eventually stop. As the thin layer of bubble solution froze, it became like celofane. Very thin paper. The bubble didn’t pop when touched, but ripped instead. Small holes opened up in the bubble skin as the remaining bubble waved in the air. Blow hard on the bubble, and pieces of it float everywhere. This was really, really cool! The girls continued to blow bubbles and experiment on different surfaces to find the best places to freeze a bubble. We found the bubble wands were ideal, because you could really watch and observe what happened as it froze. 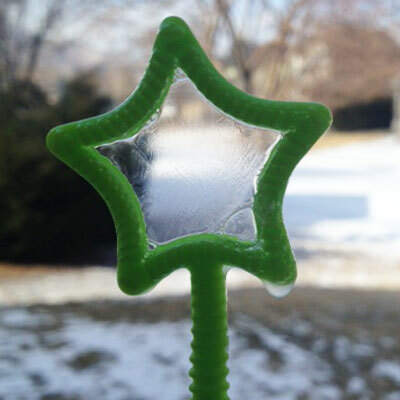 They also experimented with allowing the bubble solution in the wand to freeze. It looked like frozen water or frost on a windowpane. Our bubble blowing didn’t last long in the sub-freezing temperatures. After about 10 minutes, we went back inside to warm up. The rest of the afternoon the girls commented about how fun the bubble adventure was and how much they wanted to do it again. Go outside when the temperatures are below freezing 32 degrees F. The colder the better. 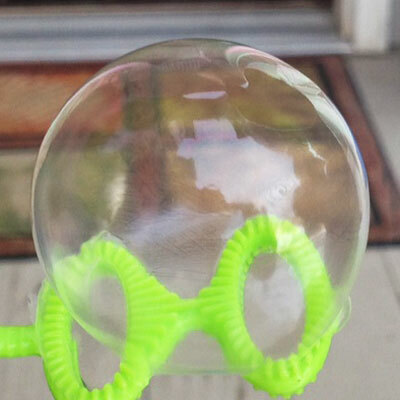 Allow your bubble solution to cool before blowing bubbles. Find a place outside that is cold and protected from the wind. 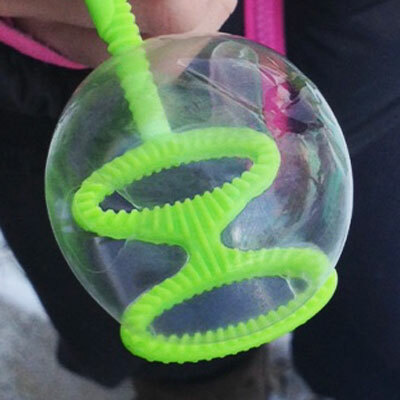 Blow a bubble and catch it on the bubble wand. Wait. The bubble won’t freeze immediately. Depending on the temperature outside, it may take a few seconds to a few minutes to freeze. When the bubble is frozen, touch it lightly and see what happens. 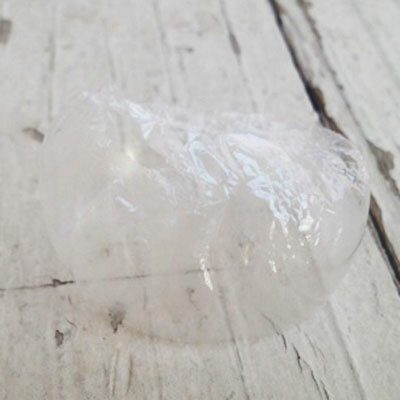 Try making frozen bubbles in other places. What would happen if you carefully put a bubble in the freezer? Or blow it onto dry ice? I hadn’t considered turning our bitterly cold days into a positive. Great way to make it fun! AND cool too. If this cold weather sticks around, we are going to have to try this. My daughter loves bubbles in the summer time and would love this experiment. Colorado has been so cold, and now I have something to do with my kids that isn’t inside! I love this.. Thanks! And the last few days I was thinking cold days without snow had zero value. This looks like a great way to make use of these sub-freezing days — thanks! This is so interesting! I think this is a great idea. My friend knows how to make these bubbles and is making a essay on it. But, I wonder how long would the bubbles last for? Can you make the bubbles in to ice like materials? If we made a bubble what is the biggest size you can make these bubbles? Thanks for the fun experiment. We tried it in school today and it was perfect for this cold North Dakota day!! My kids now want to go home and show their families! We intended on the dash to be used more like a semicolon than a negative degree sign. It’s definitely confusing and I’ve removed it. -32F would be downright cold. My brother and I loved your blog post and want to try it at home. Thank you for the idea! Right now it’s -2F outside here on Cape Cod. I was hoping to get pics of the crystals you see in videos out there, but when freezing my bubbles they look like skin… Is there a correct “solution” to use? Just keep changing the solution and tweaking until you get the results you want … it’s all about experimenting, right? Thanks for this experiment. We live on the northern coast of Eastern Australia where our very coldest winter temperature is rarely below 0 degrees Celsius. My son was blowing bubbles this afternoon and wondered whether bubbles might freeze in places that are really cold. I did frozen bubbles as my first assignment in film photography class. I froze and stacked frozen bubbles on a glass table at nitght. Then I put a light under the table to give it dramatic lighting effect. Being my fist project, I didn’t know to use a longer shutter but you could still see frozen bubbles. I was so very excited about it! Why doesn’t the bubble break when it’s Frozen? The shake become stronger as it freezes? The bubble solution is able to freeze in the cold temperatures because bubble solution is mostly water. It is still very delicate and will break if it is not treated with care.